His real name is Abraham Lincoln Bailey because he shares a birthday with the famous president. What is the origin of his nickname? Well, “sweetbreads” is defined as “the thymus or, sometimes, the pancreas of a young animal (usually a calf or lamb) used for food,” and though the origins of Bailey’s nickname have been lost to time, historians think it may have come from Bailey’s tendency to swerve his pitches right into the batter’s “sweetbreads”. He hit seven batters there. The Cubs signed him in 1917, but before he joined the team he served in the military with the 72nd field artillery. He was a reliever for the Cubs, winning four games and saving none. That was the extent of his big league career. After a few more seasons in the minors, he returned to his hometown of Joliet, and that’s where he died of pituitary cancer in 1939 at the way too young age of 44. The college boy from Syracuse may have only pitched in two big league games (both for the Cubs), but he achieved something that most Cubs cannot claim to achieve. He was part of a Cubs World Series championship team. Cheeves was part-Cherokee, and in the politically incorrect 1920s, his teammates nicknamed him “Chief”. To be fair, nearly every Native-American to ever play the game was given the same nickname. 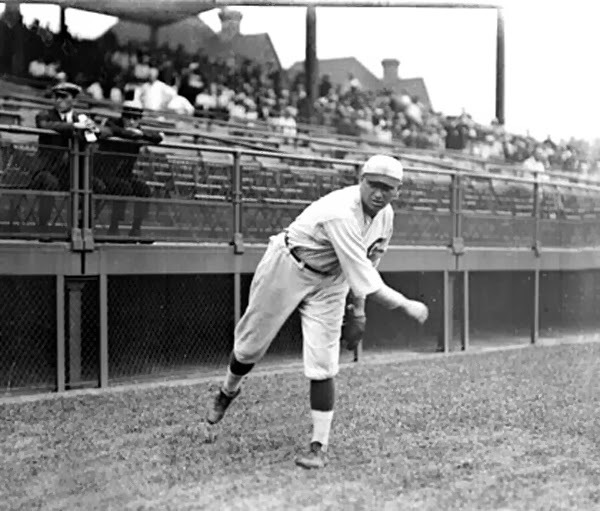 Virgil’s best season was 1922 when we won 12 games and posted an ERA of 4.09. After the 1948 season the Cubs decided they needed to boost their pitching staff, so they traded their popular first baseman Eddie Waitkus to the Phillies for two aging starting pitchers (Dutch Leonard and Monk Dubiel). Eddie Waitkus was shot by a deranged fan in his first trip back to Chicago. Monk won a total of 14 games in his four seasons with the Cubs. He was a backup catcher for most of his nine-year big league career, and that’s the role he served in Chicago. His big claim to fame with the Cubs was catching all nine innings of a game in what was at the time, the hottest day in Chicago history, June 20, 1953. Despite the 104 degree heat, 17,000+ fans came out to Wrigley Field to see the Cubs lose to the Dodgers 5-3. Of course, Joe became much more famous after his playing career as a sportscaster and television personality. He passed away in 2016. Lenny was known as the guy who had punched his manager (Frank Lucchesi) in the face when the Cubs acquired him. They knew they were taking a chance, but Randle had a pretty good season with an incredibly bad Cubs team in 1980. He signed with the Mariners as a free agent the following year, and that’s where he did the other thing he is most remembered for doing–he got on his hands and knees and tried to blow a slow roller down the line into foul territory. To say the 29th round draft choice was a long shot to make it is an understatement, but Krug managed to defy the odds, and was called up to the show. His big league career consisted of exactly seven games in the 1981 (strike) season. He went 2 for 5 at the plate (both singles), giving him a lifetime big league average of .400. He pitched a shutout in his Major League debut, but won only 12 more games, all of them with the Cubs. He was a member of their 1989 division champion team.